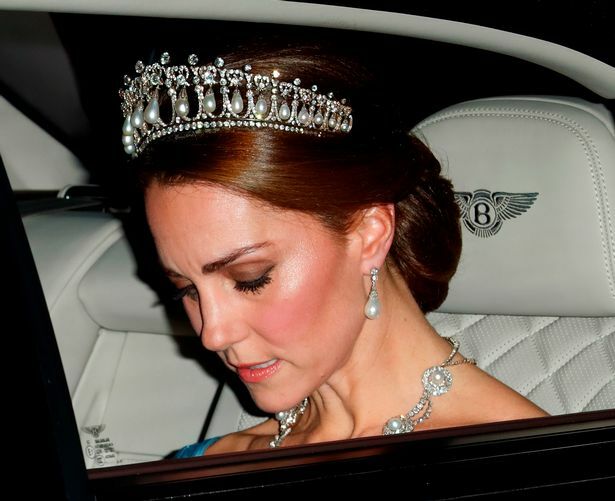 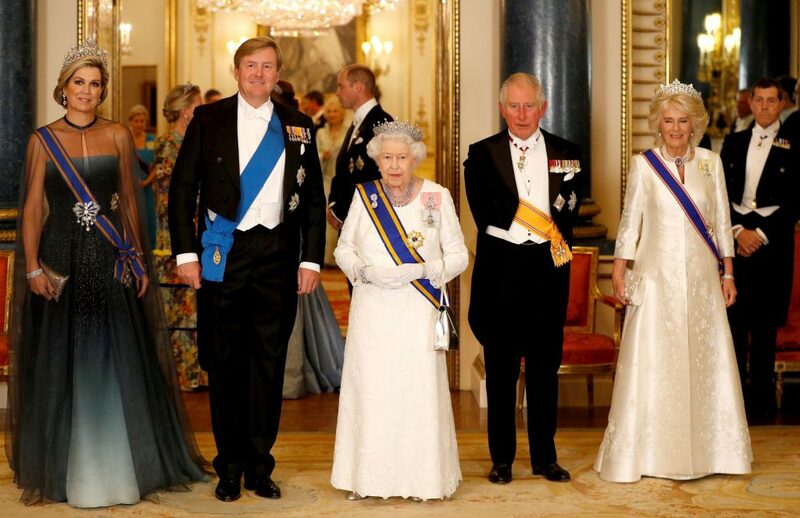 The Duchess of Cambridge Kate Middleton wore Princess Diana’s tiara at a State Banquet at Buckingham Palace honoring of the King and Queen of the Netherlands. 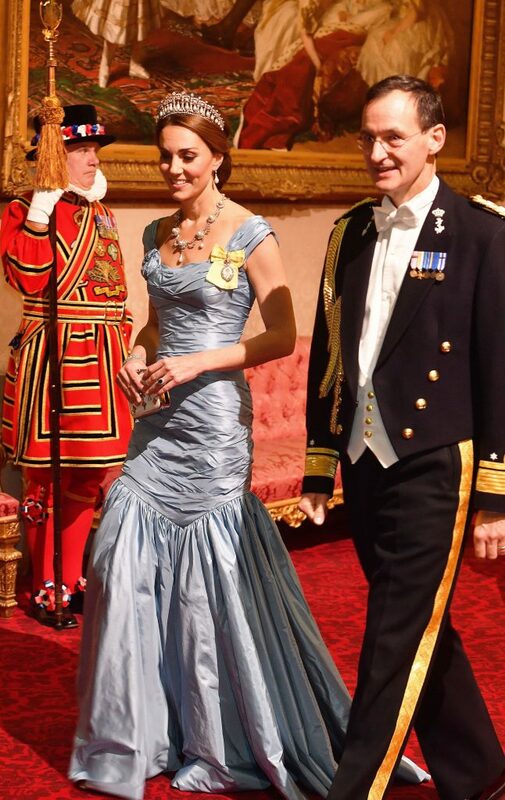 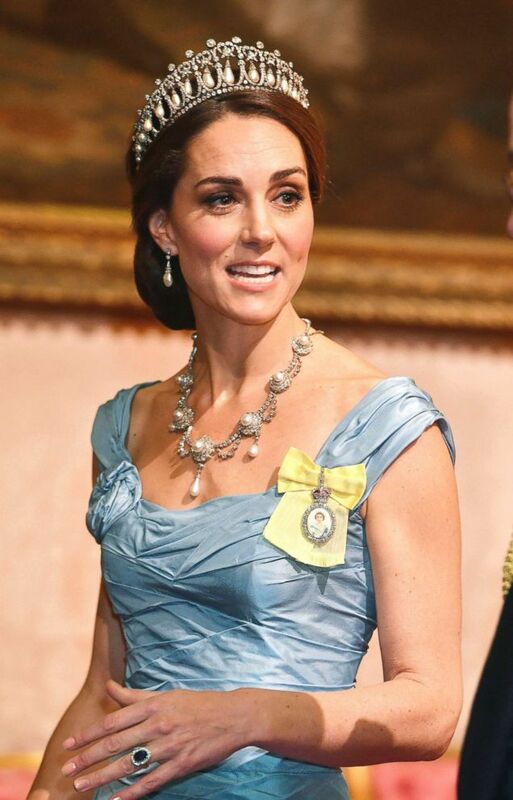 Kate wore a blue Alexander McQueen gown and necklace from Queen Alexandra’s Wedding Parure, The necklace was a gift from Albert Edward, Prince of Wales, ahead of their wedding in 1863. 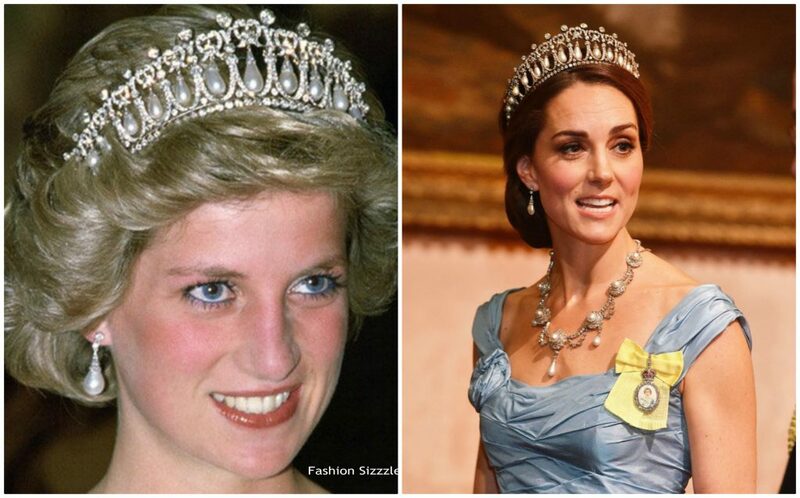 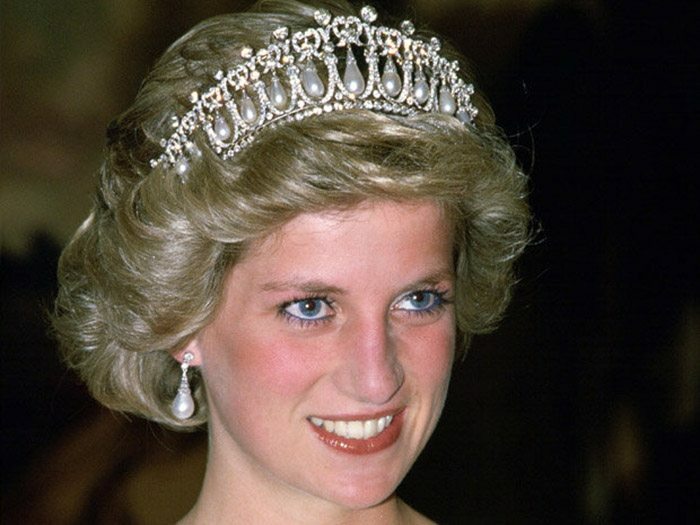 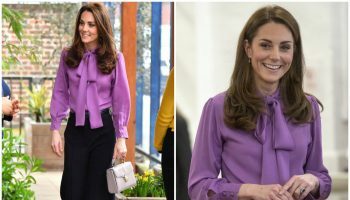 Kate styled the necklace with Princess Diana’s Cambridge Lover’s Knot tiara and the Princess of Wales’ Collingwood Pearl Drop Earrings. 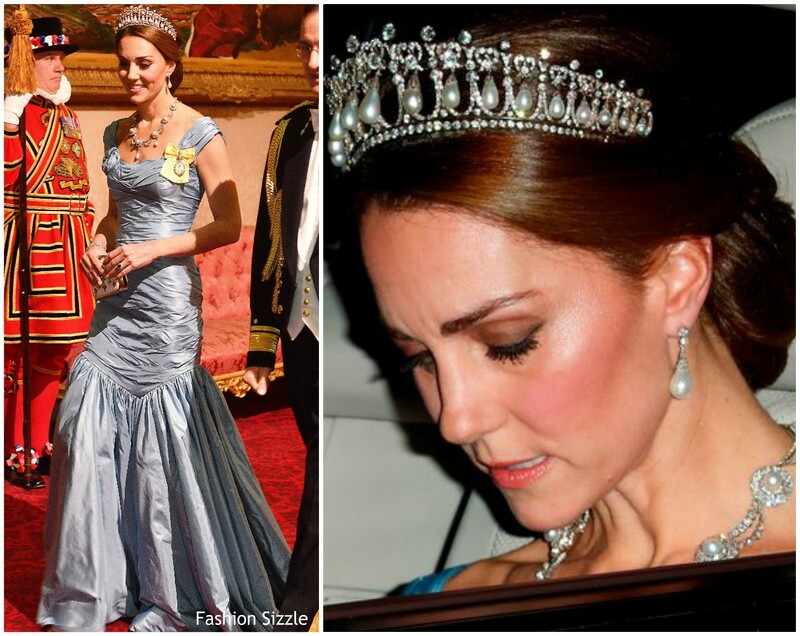 Kate also wore the Royal Family Order for the second time, made of glass rather than ivory.